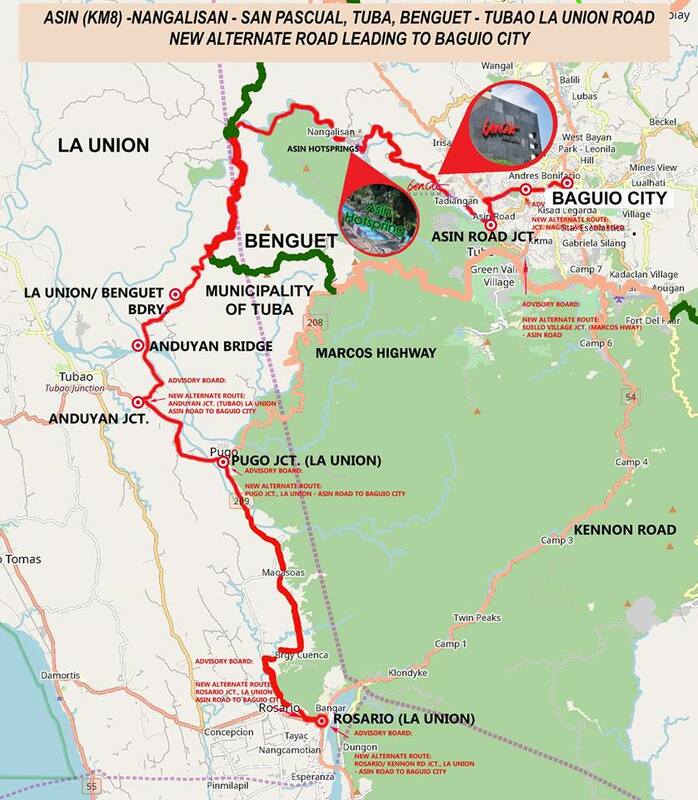 Cordillera - The Department of Public Works and Highways (DPWH) formally opened new alternative routes going to Baguio City and Benguet province on November 26, 2018. DPWH Secretary Mark A. Villar led the inauguration and opening of the bridge complimented by an alternative road that leads to Benguet's Asin Hot Spring and Baguio City. 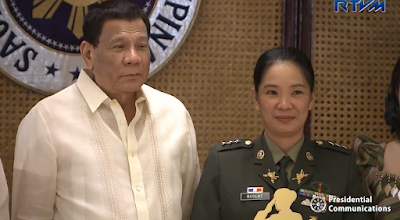 The two major infrastructure projects of the government are the Aringay-Tubao alternative road and Anduyan Bridge, both were formally opened to motorists on Monday. 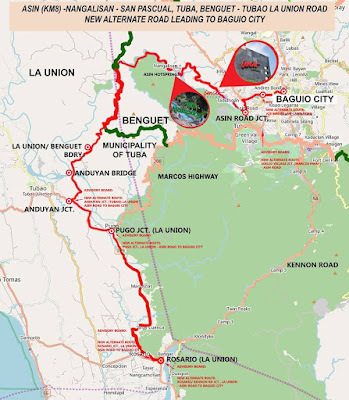 According to DPWH, the 14.24 kilometers Anduyan Bridge will greatly reduce the travel time of 2 hours and 25 minutes from Tubao, La Union to Baguio City to just one hour. The new bridge with sidewalks on each side and reinforced concrete railings practically abandoned the use of bamboo raft for people of Barangay Rizal and Alog East in Tubao, La Union to cross Aringay River. It was made of two (2) abutments and a total of 11 piers all resting on bored piles 1,600 to 1,800 millimeters in diameters to ensure stability. Motorists using this new alternative route going up to Baguio will benefit from the scenic view of the province of La Union. It will also help in lessening traffic congestion along Agoo to Baguio City or Naguilian Road. The ceremonial inauguration on Monday was attended by DPWH Region 1 Director Ronnel M. Tan, Department of Tourism Region 1 Director Martin Valera and other government officials of La Union. This is good news. But we'll appreciate it if you guys provide a map. Also a comparison of the old and new route would be nice..